St. Augustine’s grants financial awards to our students attending college or vocational schools. The program is designed to encourage students to pursue post-baccalaureate education/training by helping to defray the expense of tuition and room/board. The fund is renewed annually with the goal to distribute all of the monies each year; as a result the amount available for individual scholarships varies each year. Each year St. Augustine's members make contributions directed to the College Support Fund. 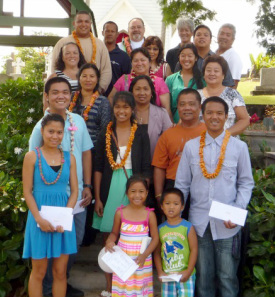 The awardees are honored during Sunday worship in June. 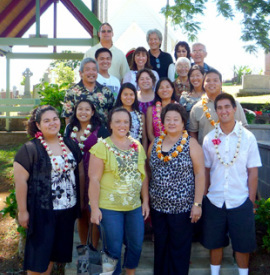 Recipients & their families in 2013 (above) and 2012 (below).